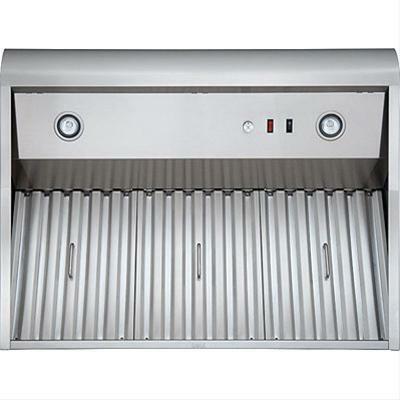 Broan 36" stainless steel Pro-Style outdoor range hood featuring a powerful 1100 CFM internal blower for quiet, dependable operation, 3-speed rotary control for convenient range of ventilation choices, and Heat Sentry™ that detects excessive heat and adjusts blower speed to high automatically to maintain optimum ventilation. Additional Information • 18" tall wall-mount design with deep 27" depth to handle the heat and size of outdoor grills. • Heat Sentry™ detects excessive heat and adjusts blower speed to high automatically to maintain optimum ventilation. • 3-speed rotary control for convenient range of ventilation choices. • 50-watt Halogen bulbs provide bright lighting (not included). 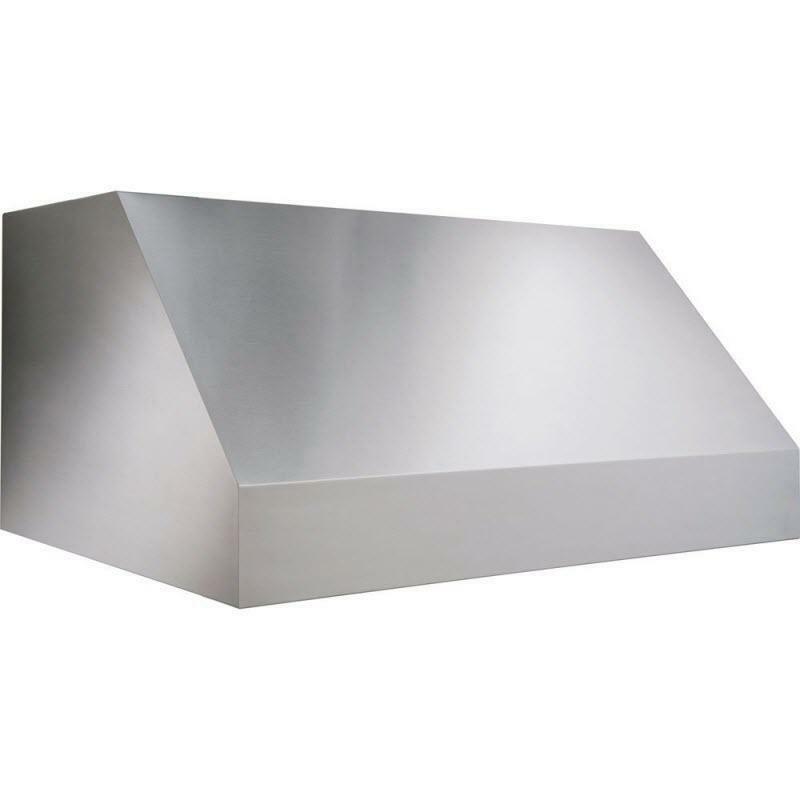 • Stainless steel baffle filters.